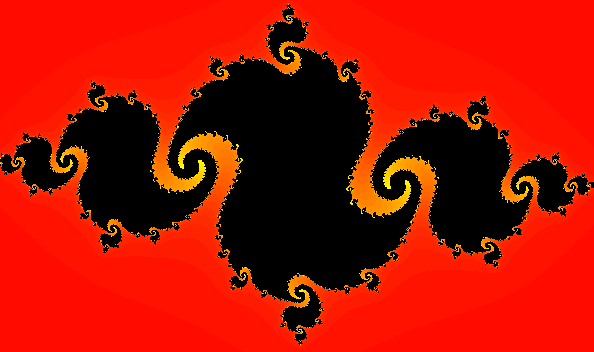 The above video is of a Mandelbrot zoom. 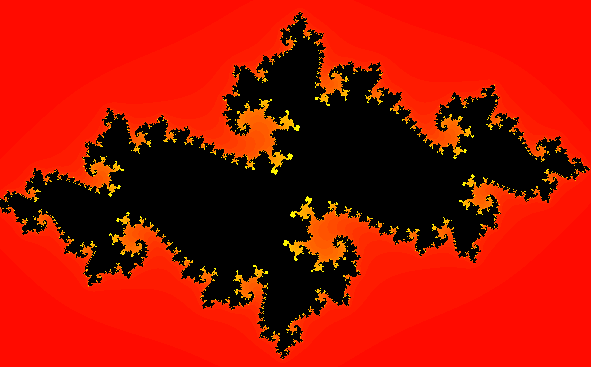 This is a infinitely large picture – which contains fractal patterns no matter how far you enlarge it. To put this video in perspective, it would be like starting with a piece of A4 paper and enlarging it to the size of the universe – and even at this magnification you would still see new patterns emerging. and so on – what we are looking for is whether this iterated Z value will diverge to infinity (i.e get larger and larger) or if it will remain bounded. If diverges to infinity we colour the initial point 1+i as red on a complex axis. If it remains bounded we will colour it in black. In this case our initial point 1 + i will diverge to infinity and so it will be coloured in red. Next we do this for every single point in the complex plane – each time seeing what happens when we iterate it many times. Each time we colour it in as red if it diverges and black if it remains bounded. 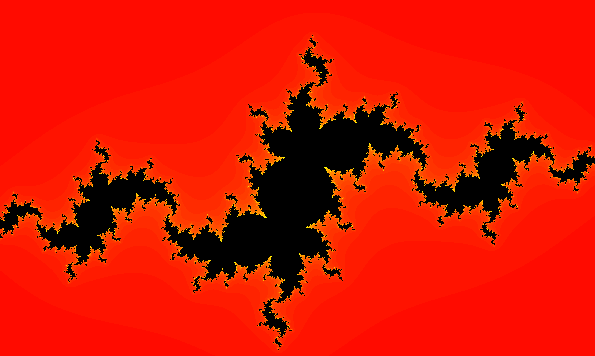 Once we have done that we will have a picture which represents what happens to every point in the complex plane. This then is our Julia set. 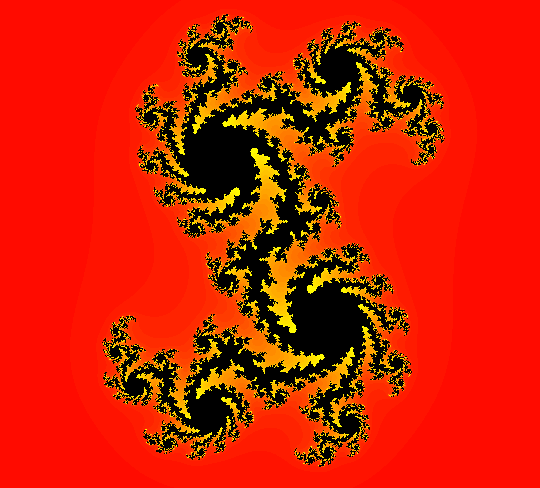 This is because every single complex number when iterated by Zn+1 = Zn2 + 1 will diverge to infinity (get infinitely big). 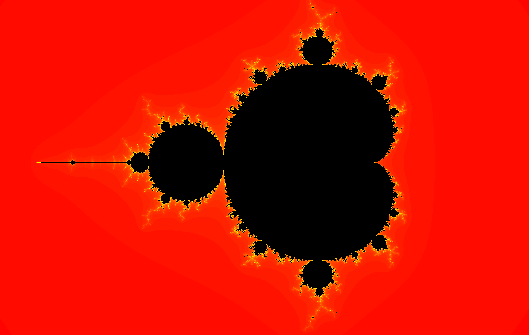 Not very interesting so far, but different values of c provide some amazing patterns.  This above pattern is generated by c = 0.376 – 0.1566i. 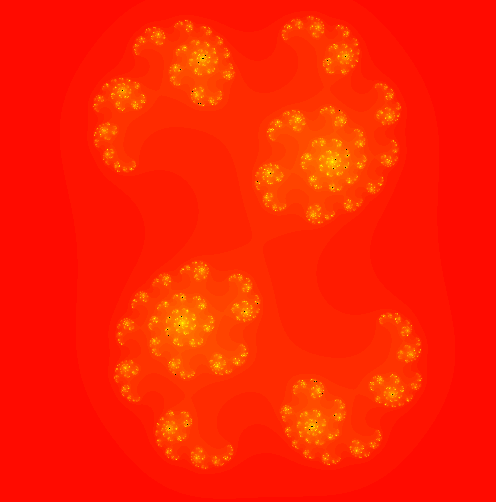 and this pattern is for c = 0.376 – 0.1566i. and this one is c = -0.78 + 0.1i. This last one for c = 0.4 + 0.1i looks different to the others – this one has patterns but they are not connected together as in the other examples. « Reaction times – How fast are you?